Excessive bleeding. Though some bleeding is expected there have been cases where the fluid loss is drastic and patient may need to be put on a drip. Most doctors will administer a local or general anesthesia which for some people can lead to complications. Fat embolism. In this during the surgery tiny pieces of fat may tear away and later block blood flow to that area of the body. 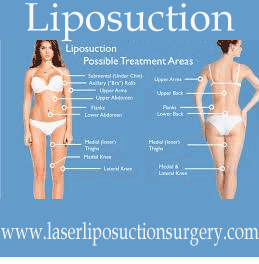 Fat removal may not be evenly done. Damages to other organs during surgery. Although with any good physician these risks may be a rare occurrence it is always best to know and discuss all these concerns with your consulting doctor.